It is necessary to share and receive a number of files in an organization and this can be achieved by using the best File Sharing Software. This software is capable of making your work ten times easier as you have the option of sharing as well as receiving numerous files from and to different computers and other devices. Earlier, it used to be extremely difficult to transfer files, but with this software, the work can be done in an instant without having to put in much effort. Almost all top file sharing software is responsible for providing a secure file sharing option and your organization can use this software for sending and receiving all the essential documents over the internet. You need to understand that a file sharing software is responsible for supporting a number of file formats that include the videos as well as images. 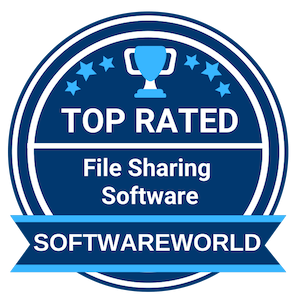 You can consider the list of the top 10 file sharing software that SoftwareWorld has coined for you. What are the Best File Sharing Software in 2019? About Slack : Improve team collaboration with Slack; team members can communicate, share files & documents, and collaborate easily through Slack. Slack offers the best file sharing features to the team members where the user can drag-and-drop images, videos, PDFs and other files directly into Slack software. The user can also archive work progress and get feedback through the software. You can use Slack as the best file sharing software for your business. “We are SLACKERS! It helped my company reduce the spillage of work into everyone’s personal social media. It’s also a really great way to communicate with coworkers and get things done. We’ve almost eliminated internal emails! #Slack – it’s just that much better than the other options out there” – Cindy B. About Samepage : Save your team and projects with Samepage; the leading collaboration software offers the collaborative environment to business employees. The software is known for their file-sharing apps allow the user to share and edit files online, whether they’re on Samepage, Egnyte, Dropbox, Google Drive, OneDrive or Box. The user can share files without any limitation through Samepage. The user can also get all their project files on one page and the software is also accessible through mobile anywhere. “Best Info Sharing Software I have ever used! I work with a non-profit, we have a number of projects, and different people who work on different projects, Samepage enables me to share information and message them on one platform as well as have a central place where i can work out of. ” – Zenaida M.
About Flock : Find all your work in one place with Flock; it’s a leading team messenger and online collaboration platform offers the best file sharing features to business users. The user can share all types of files with a drag-and-drop feature to the team and find a shared file easily with Flock. The user can also see a preview of the shared file through the software. You can increase your business productivity through the best communication, file sharing feature and search feature of Flock. “Flock is a simple productivity tool for organization that ‘actually works’. Its simple. Its easy. Its adaptable by people of any department. Its scalable. Overall, it makes the team/organization super productive, by reducing internal emails exchanged and providing easy access to the right tools to get the things done.” – Agraj A. About ShareFile : ShareFile offers a full suite of features to ensure the smooth and secure transfer of files and documents among your desired recipients. ShareFile can be integrated with your chosen 3rd party applications and current file storage systems to ensure flexible and synchronous file storage, modification, saving, sending and retrieval of files. “The feature that I love the most is that I do not have to checkin any document. Its simple drag and drop feature makes it very easy to use. Every time I have a big file to share, Sharefile is always my first preference. Unlike other file sharing tools, Sharefile lets you share a direct link with anyone.” – Aanchal v.
About Droplr : Discover the best collaboration software for remote workers and distributed teams; Droplr is the best solution for you. It’s the best file sharing software where the user can find screenshot tool, customized URLs feature, third-party integration, file history feature, document preview, instant sharing and much more to improve business productivity level. The user can capture the screenshots and reports the bugs in a visual way through Droplr. It’s easy to send the files on all devices with a customized handy short link. 6. GoAnywhere MFT – Managed File Transfer to secure and automate data exchanges. About GoAnywhere MFT : GoAnywhere MFT is secure file transfer software for enterprises. The user can securely transfer the files to partners, internal servers and cloud through the software. GoAnywhere MFT offers the best solution to protect and audit the file transfer. The software manages all file transfer and related processing through a single point of control. The software offers the modern way of file transfer with an intuitive interface and extensive workflow features. About MangoApps : Modern workplace software really improves file sharing feature for the businesses; MangoApps offers the best file sharing features to the business teams where they can easily share files and documents as they communicate and collaborate. The software also offers instant messaging chat and private chat communication feature to improve team collaboration. It’s easy to use file-sharing software which one reduces your IT overload. “Mangoapps made my onboarding easy. I find it easy to assign tasks to team members. The wiki functionality is very useful because it gives our developers a pool of information the can always refer to as well as update if need be. My experience has been nice. I’ve used MangoApps before now and its a great means of communication.” – Wareh O. About ShareVault : Increase the security level of document sharing with the third-party; ShareVault is a virtual data room provider for secure business document sharing. The software makes the document-centric process faster and easier where the user can also find document sharing analytics to make a smarter decision. It’s file-sharing software with great intelligence and the best option for the quality document control. About Nextcloud : Facilitate secure collaboration and communication to your business with Nextcloud; it is self-hosted file-sharing software and communication platform for the businesses where the user can protect their data easily. If you would like to protect, control, and monitor communication and data across your company, NextCloud is the best option for you. The software offers transparent access to the data on any storage. Nextcloud puts the organization in control over their IT. “Mature enterprise class open source products. I especially like the continuous improvement cycle that delivers new features, products and optimizations that is delivered with an automatic update feature. Thank you NextCloud. – Slim B. About FileInvite : Automate your document collection with FileInvite; you don’t need to chase clients for files, only request and collect documents faster and easier. This file sharing software offers the best platform for client document management. The software offers to centralize location to access all required documents and files. You don’t need to waste your time with emails; this file-sharing software is helpful to increase business productivity. “Brilliant time saving product, I loved the fact that all the documents that I needed from a client were not only sent to the client in one actionable file but also that the clients had a clear visual of what they had and hadn’t sent. The auto follow ups for documents not yet received was also a valuable time saver.” – Renee G.
About MyWorkDrive : Secure remote access and manage data leak prevention with MyWorkDrive. It’s the best file sharing software which one secures remote file share access; it works through mobile, desktop and browser. The user can easily prevent data breaches, data theft, ransomware, malware, and other cyber threats with built-in DLP features. The software is also helpful to prevent unwanted downloading and sharing. The software provides two-step authentication for secure file sharing remote access. “Great technology! MyWorkDrive resolves a huge problem for VisionSpring. We’re a not-for-profit and have a very small IT team, but we have many small offices around the world and we all travel a lot, so we needed an effective way to share files. I was also give the directive to make the company function as if we were in one location.” – James N.
About Encyro : Send files or messages securely to any email address without frustrating recipients with passwords or difficult retrieval steps. Receive secure messages without asking clients to sign up, through a custom branded upload page. Get 16 layers of security to help you comply with HIPAA, GLBA, IRS, GDPR and other regulations. Use from your web-browser or Microsoft Outlook. Files are automatically organized into client folders. Free encrypted backup at multiple locations. 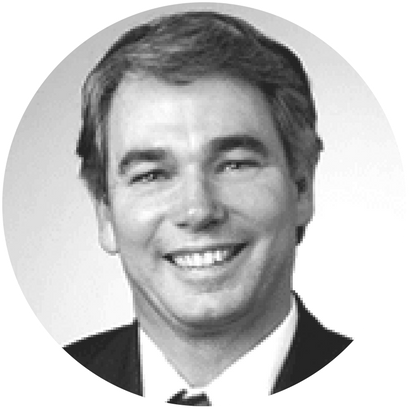 “Encyro has helped me to be able to send out confidential information securely. I am able to send very large files easily and quickly. Easy to use. Easy to set up.” – Evelyn Chow. The sharing of data files between users, locations, partners, and customers is a common thing in any organization. However, depending on the type of organization niche, the need and volume of file transfer may vary from occasional use for non-proprietary data to sharing in bulk as a daily business need. So, it is essential to have a file sharing software that can meet your organizational needs based on their individual requirements. » What is File Sharing Software? » How does File Sharing Software work? » Is it worth investing money in File Sharing Software? » How to choose the best File Sharing Software? » What are the features of a File Sharing Software? » What are the benefits of File Sharing Software? » How much does File Sharing Software cost? » What are the Best File Sharing Software in 2019? It is a file-sharing software application that enables you to send files of any size to anywhere in this world under a strong layer of data protection. It allows your employees to send and share an unlimited number of files with a speed of light. You can submit portals and customize them with language, branding, storage and more. You can choose a storage point of your choice, such as – FTPs, Hard Drives or Cloud storage. It uses a local network or a web to send and receive multiple files in the form of text documents, videos, and images. Once shared, people having permission can have access to those files and even can download them. They can use the software to share those files with other people in their network as well. It comes highly usable for business persons to distribute and share project documents amongst each other. It uses four kinds of systems for storage, transmission, and distribution such as distributed peer-to-peer networking, manual sharing of movable media, online-stationed hyperlinked documents and localized servers on computer networks. Also quoted as Managed File Transfer (MFT) solutions, it addresses the key file sharing issues related to data security, their control and requirement related to core operational process. As it comes fully auditable as per regulatory compliance, organizations looking for secure transaction of files between remote data centres, trading partners and cloud applications will find it to be highly useful. Gone are the days when it used to complete paper-based file system to maintain official data. Now, even an electronic money transfer is replacing the cheque system for reliability purpose. The current trend of “The Minimalists” does apply to file transfer system inside organizations as well. Digital files give ease of use to the users in terms of accessing, editing and sending files from one person to another. Also, the software enables you to retrieve deleted files from backup and stores them with secured protective layers from falling into the wrong hands. If you can get all of these facilities in exchange of $200-$300/ month, then, of course, it is worth investing in money. Before selecting any file transfer software, it is essential to understand their types better so that making a decision will be easy for you. You can run this software directly from the computer’s OS. It is used for local network file sharing. Also, the list of transferable files involves normal documents, pages, photos, and videos. This type of file sharing software is used for transferring webpage, FTP sharing, and email. The data are stored in a centralized location and people having permission get access to them for their use. Unlike the previous one, this type of File Sharing Software does not depend on any centralized server, instead, it uses computers in your network as node servers and enables them to transfer files between them directly. If you want to opt for the software that has cloud features, then this file transfer software is your ideal bet. You create special folders and then synchronize the data into them which will be accessible through a website or a mobile. Let’s not forget, speed is the primary reason for which we are looking for a file sharing alternative against available traditional methods. That’s why, if the software is not fast enough to transfer big files in less time, then the whole purpose of buying it stands for nothing. Ease of use is another primary factor that decides how your employees or other users are going to react. A fast file transfer software should also be a simple web-based system that anyone would feel comfortable to work with without requiring any extra training. The users should be able to easily access and share files without going through an understanding of its complex operational process. Your File Sharing Software should be very easy to deploy and manage. If you are opting for a SaaS (Software-as-a-Service) application, then you would not be required to worry about the same. However, make sure that the vendor is committed to the service aspect of the SaaS. No software can be guaranteed to operate bug-free. It is a common thing for the software to catch bugs and malfunction. However, what is important is that your vendor has a dedicated team of managers to take care of the same within minutes. They should have world-class customer support to keep you assured of their 24/7 availability. It is very important to understand your vendor’s security practices for their software. As several high profile security breaches have been surfaced lately, look for a vendor who is strongly committed to security mark. Vendors those who follow in-depth security practices or consider security at every level of the product should be your ideal bet. An ideal file transfer software complies with an array of storage options. You can choose either on-premise or off-premise (Cloud) storage option that allows you not only to have control over your assets but also to protect them from unwanted security breaches. You can choose any option at any time depending upon the confidentiality level of the files at different stages of the content life cycle. No two organizations may have the same use cases and the software should be able to meet that with its easy-to-customize options. For instance, you should be able to set up an unlimited number of browsing based portals customized for multiple clients, partners, and freelancers. Imagine a file transfer software that will enable you to have a look at your content traffic analytics on a real-time basis. Wouldn’t that be great? You can see which content is getting maximum attention and can get notifications each time they are downloaded. It can help you design your business strategy accordingly. Not only the application but also the reputation of vendor matters while selecting any software application. Just make sure that the vendor has some positive feedback into its kitty and the ratio of positive to negative reviews is quite high. If possible, take advice from your social circle as it will help you make an easy decision. Due to cut-throat market competitions, developers are leaving no stone unturned to create a fully-featured File Transfer Software that can address the needs of file sharing for any type of organization. In this regard, here are some of the common popular features of any File Sharing software application these days. You will get unlimited file transfer feature which allows you to have a secure sharing of files on as much volume as you want. You can adjust space quotas to buy space for your files to remain secured. Though small subscriptions offer limited space, it can be upgraded to unlimited by switching to elite subscriptions for 30% more price. Your files remain in backup for even one month after they have been deleted. Thus, you can retract them to save you from unpredictable repeat works and hassles. Admin can have the privilege to control access to the files. That means, the files get further an added layer of security through controlled permission to access via the administrator. It enables you to restore your deleted files with few clicks. The software has an integrated search engine function that will help you find your deleted files in seconds. You can protect your files through password which makes your files even more secured. In this way, you can protect your files from getting into the wrong hands. Through a dashboard, you can see the activities happening on a real-time basis. The panel also enables you to generate easy reports of the operations made. The software makes your effort to access and share files amongst peers easy, convenient, and instantaneous. You can considerably reduce the amount of effort, time, and energy as compared to your competitors. It is required to own the infrastructure and adequate IT system for storing virtual files of large size. However, with a File Sharing Software by your side, you can save the money to be used on maintaining infrastructure for storing files and for their easy conveyance. The process of searching and retrieving information from a file manually takes a lot of time. With the fast file transfer software, that time can be reduced considerably to a few seconds from a few minutes. Instead, the same amount of time can be utilized towards other business activities. We have discussed virtual space issues; this is about the physical one. Many organizations prefer to stack up files in a place as they need them very frequently. Stacking them up itself demands specific physical space inside the building, and the same gets bigger with the passage of time. However, with all files getting digitalized and easy to access through the software, the organization can undoubtedly save its space for sure. When data files are transferred through a secured channel- less prone to lose, manipulations, and other forms of interferences - the reliability factor increases and also the level of accuracy. You can easily depend on those data to take big decisions. The pricing of the File Sharing Software can start from $35/ year to $300/ year depending upon the features and level of customization you are opting for. For instance, small subscription models will offer you limited file transfer option (e.g. 300MB/file). Also, it will not allow you to transfer more than 10GB/Month (Average estimation). However, if you are a small business firm or a solo freelancer, this subscription model is enough to satisfy your needs. However, if you are a big farm having more than 100 employees, it’s better to go for a custom enterprise model as it will allow you to transfer unlimited files. You can add or remove members as per your wish inside your network and can even request for custom features to be added into the package to best complement your organizational needs. By now, you must have understood what a File Sharing Software can do for you and how it can benefit you in terms of time, space and money. However, having this knowledge, it does not necessarily mean that you can easily choose an ideal software application for your business. It’s better to follow your institution and seek organic reviews about the vendor you are going to partner with. First, go for a free file sharing software on trial period, see if it is standing high on its commitments or not. Second, let the vendor put the best offer on the table and run your negotiation skills to shrink it further. Finally, choose the best file sharing software that qualifies all the stages with flying colours. » IT Project Management Software - IT Project Management Software is considered to be one of the most important parts of the business projects currently. The software is being used in IT businesses for planning projects, scheduling the projects, resource allocation, and changing management. » Live Chat Software - There is no doubt to the fact that proper customer service is probably one of the most important aspects that makes a business successful. Live chat software is one of the best services, which allows instant support to customers along with important information.